The Royal Commission into Institutional Responses to Child Sexual Abuse has released its report in the case study relating to abuse victim John Ellis and his experience of the Towards Healing process and civil litigation. 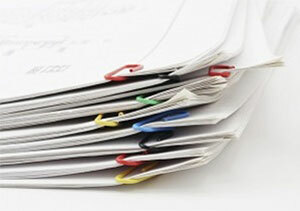 The 160-page report which makes 34 findings follows the three weeks of public hearings in Sydney in March of last year. John Ellis was abused when he was an altar boy from 1974 to 1979 by Father Aidan Duggan, the assistant priest at the Base Hill parish of the Catholic Archdiocese of Sydney. The Archdiocese of Sydney had previously acknowledged failings in its response to Mr Ellis, and, in evidence during the case study, Cardinal Pell and Archdiocesan witnesses accepted that mistakes were made. 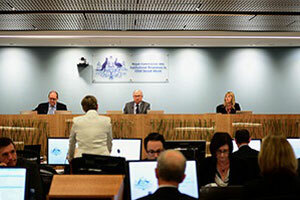 The Commission agreed with Cardinal Pell that he and the Archdiocese had failed to treat Mr Ellis fairly from a Christian point of view in the Towards Healing process and litigation. “As former archbishop and speaking personally, I would want to say to Mr Ellis that we failed in many ways, some ways inadvertently, in our moral and pastoral responsibilities to him. I wish to acknowledge his suffering and the impact this terrible affair has had on his life. As the then Archbishop, I have to take ultimate responsibility and this I do…I want to publicly say sorry to him for the hurt caused by the mistakes made and admitted by me and some of my archdiocesan personnel during the course of the Towards Healing process and litigation”. The Archbishop of Sydney, the Most Rev Anthony Fisher OP welcomed the report saying the Catholic Church has been and will continue to be fully transparent and cooperate fully with the Royal Commission. “People, myself included, have been shocked and ashamed by what they have seen and read about sexual abuse. As a Church we must be completely transparent and repentant, genuinely sorry and determined to improve. “I have heard the evidence and I have read the reports. We cannot undo the past but we can learn from our mistakes and I believe we are doing that. Now we need to put into place everything we can to make sure this doesn’t happen again. “I said when I became Archbishop of Sydney that child abuse in the Catholic Church has been a scourge and no one is served, not the least survivors, by creating mythologies about child abuse. There are no glib explanations or simplistic solutions. The Church certainly can do better and I continue my commitment to giving a lead. “I think the Royal Commission will help us do so in very practical terms, for example we now need to look at redress schemes as well as the ongoing needs of victims”, Archbishop Anthony said. 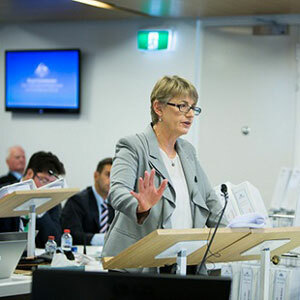 The Royal Commission acknowledged that since the Ellis litigation concluded in 2007, the Archdiocese of Sydney has changed the way it conducts Towards Healing matters and has also changed its approach to litigation of claims by victims of abuse. In particular the Archdiocese seeks to settle matters outside of court proceedings wherever possible and makes counselling available to all victims who come forward. Going forward the Royal Commission said it will continue to consider civil litigation and redress in later case studies and examine how institutional redress schemes can achieve an objective assessment of allegations or claims and of any financial redress; what degree of independence from the institution is required for these processes to be reasonably accepted as objective and principled; limitation statutes, vicarious liability and other issues of litigation; the relationship between pastoral care and reparation and how to meet the ongoing needs of victims, including counselling.